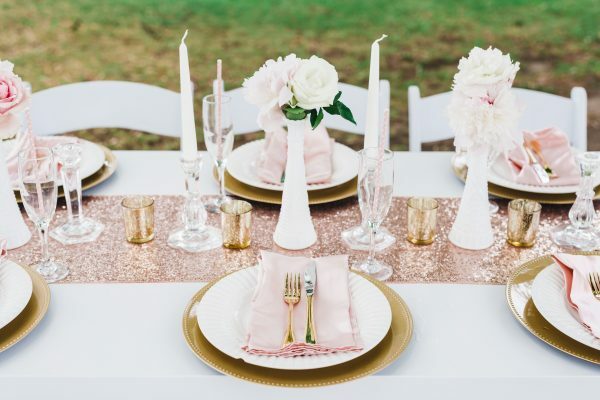 There are loads of color combinations that I absolutely adore, but I think pink and gold has to be one of my favorites. 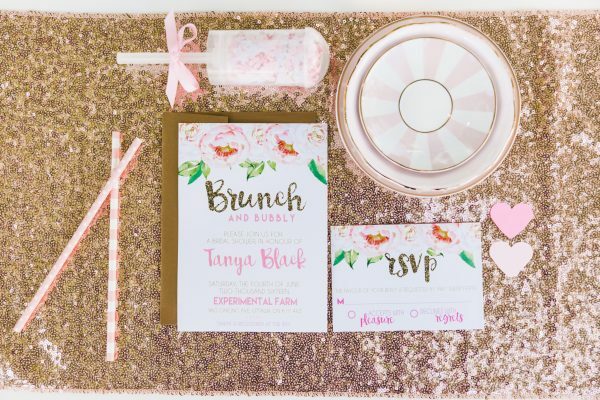 It’s so glamorous, glitzy, and girly. 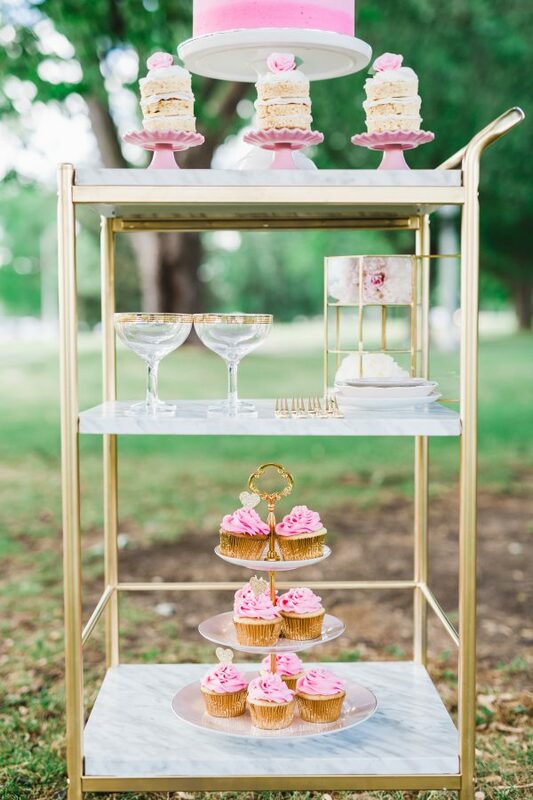 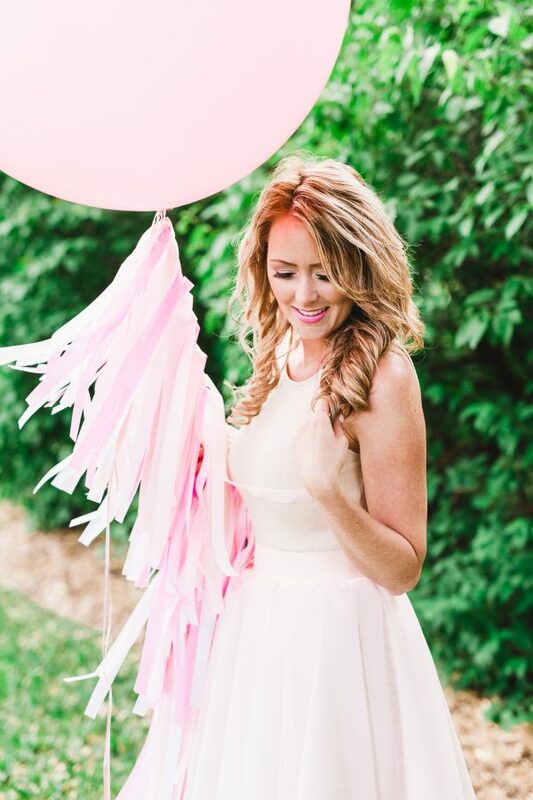 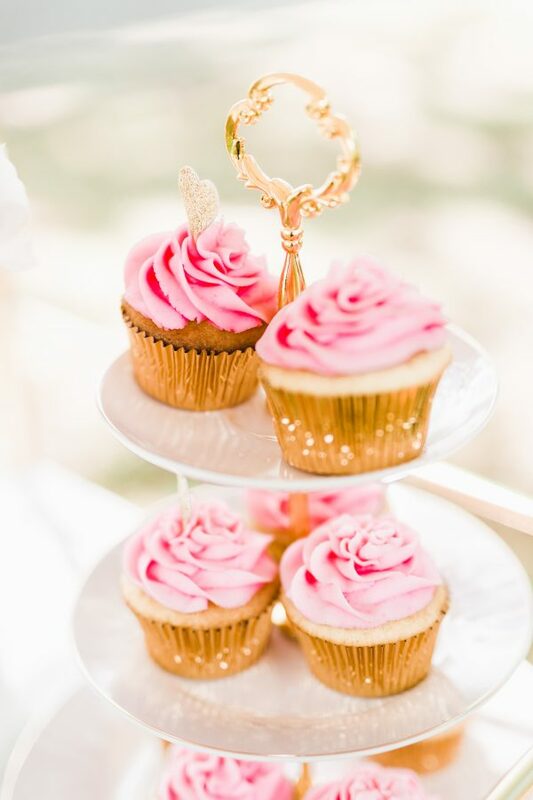 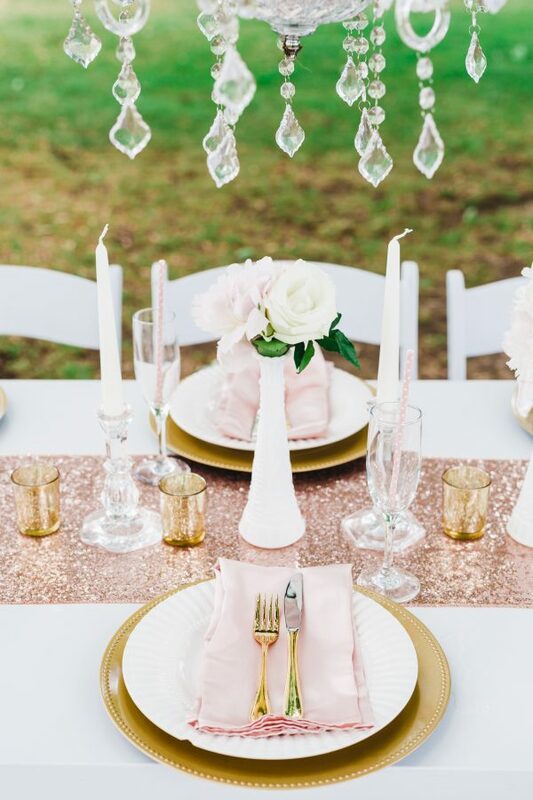 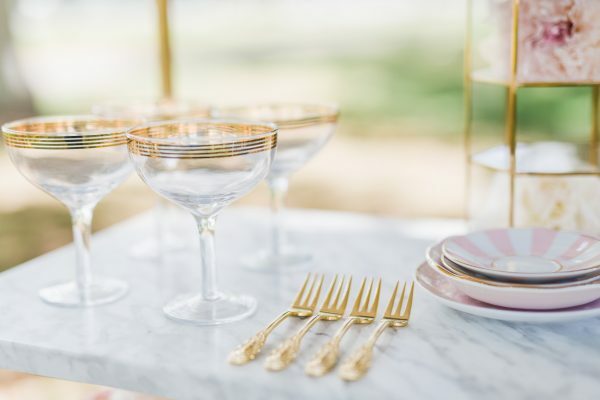 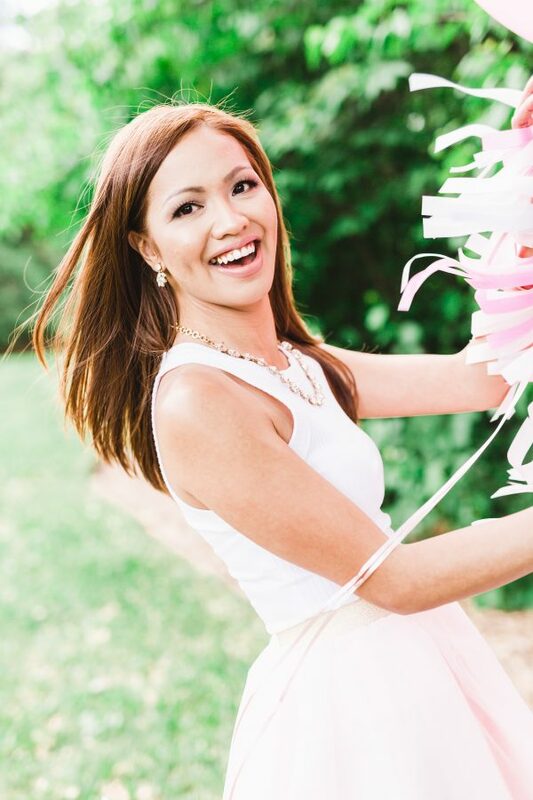 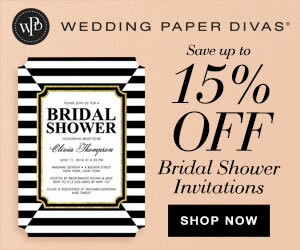 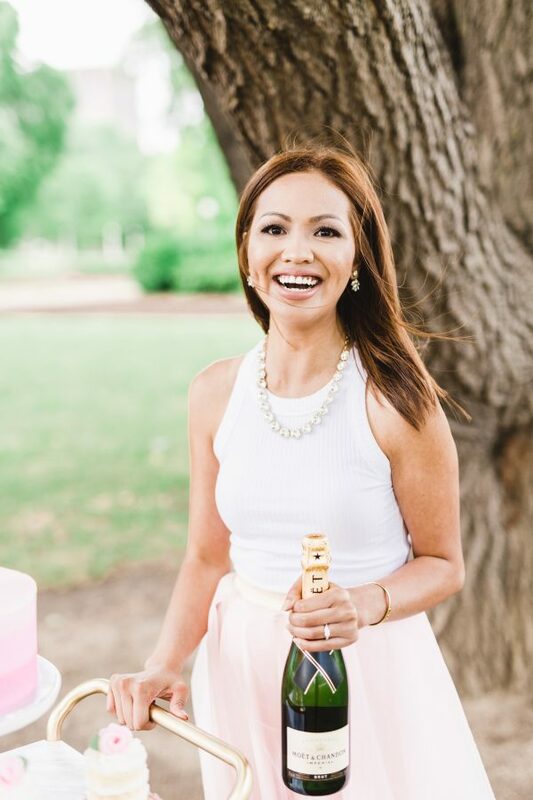 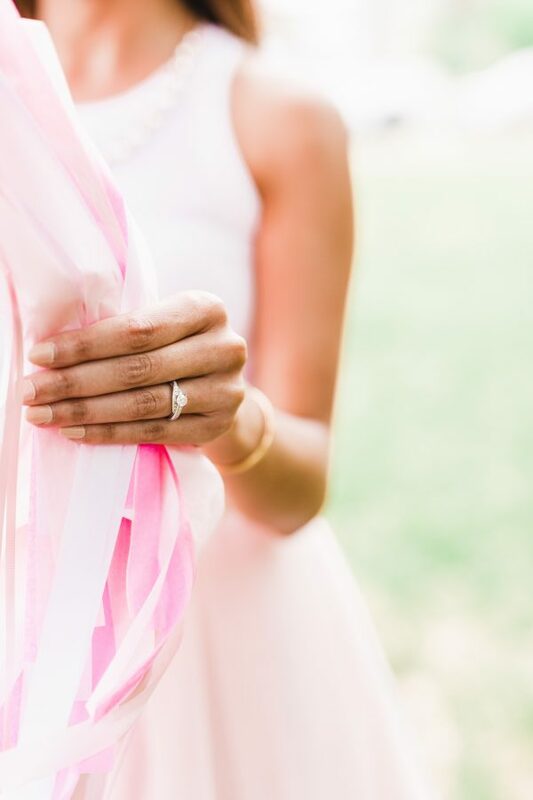 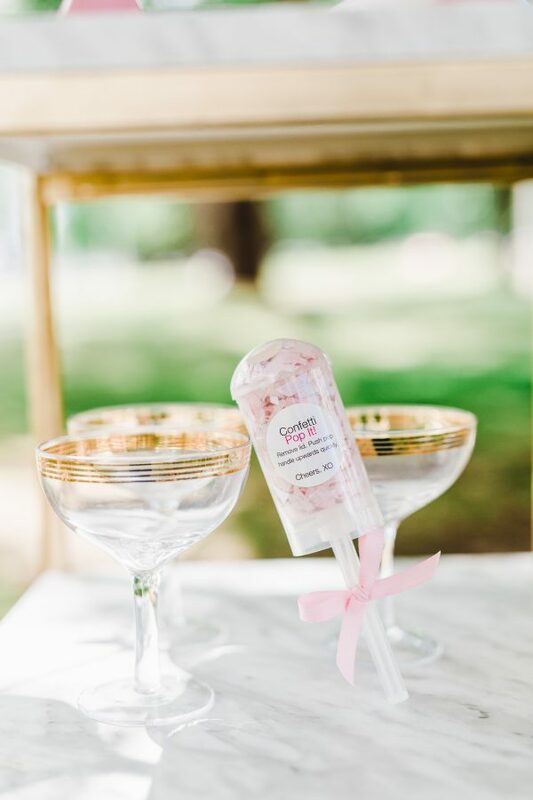 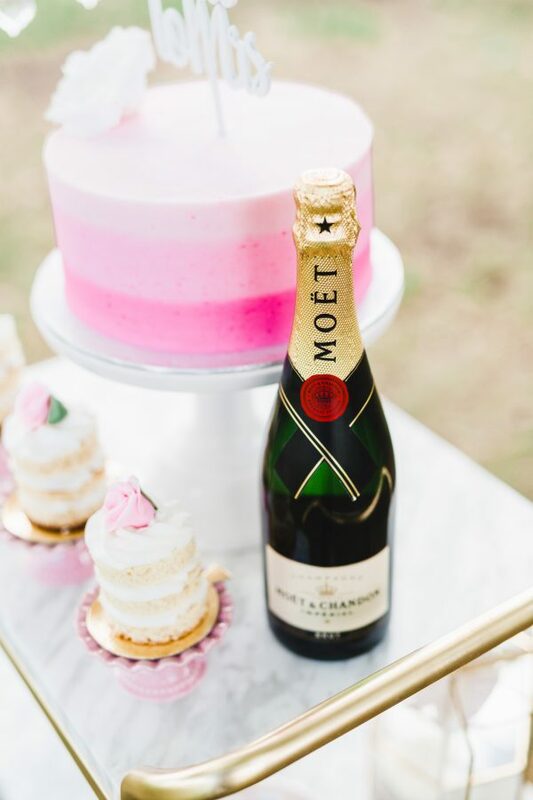 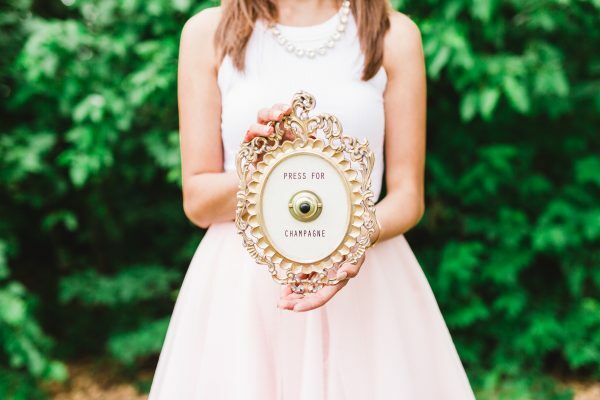 This pink and gold bridal shower shoot is all of those things and was expertly captured by Amy Sturgeon Photography. 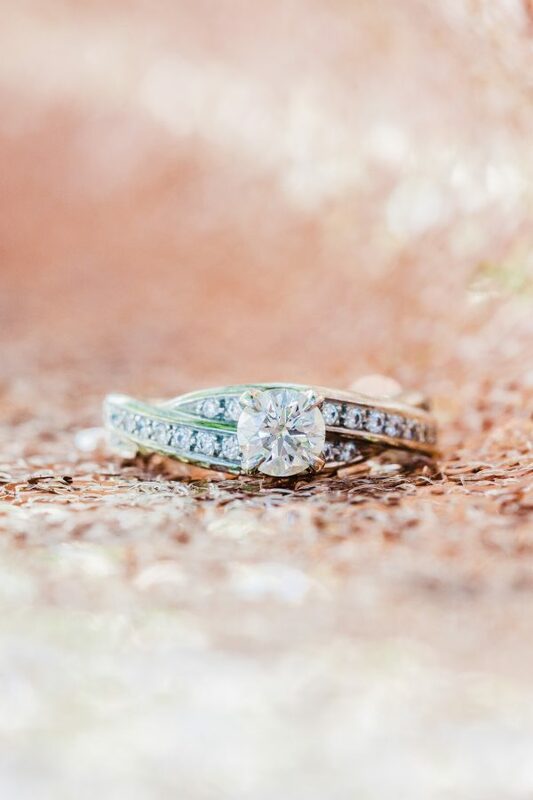 Just take a look at all of the beautiful details! 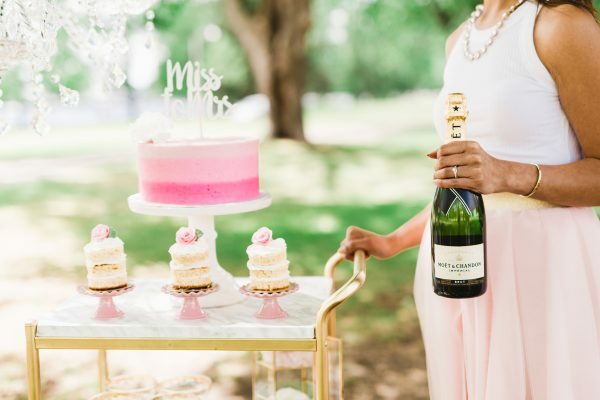 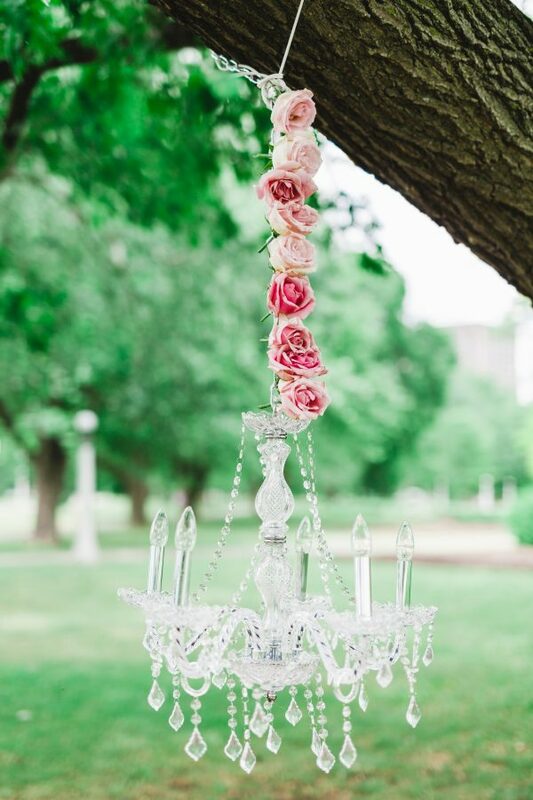 A crystal chandelier wrapped with roses, a sequin table runner, pink frosted cupcakes, giant balloons, and a “press for champagne” sign that actually works! 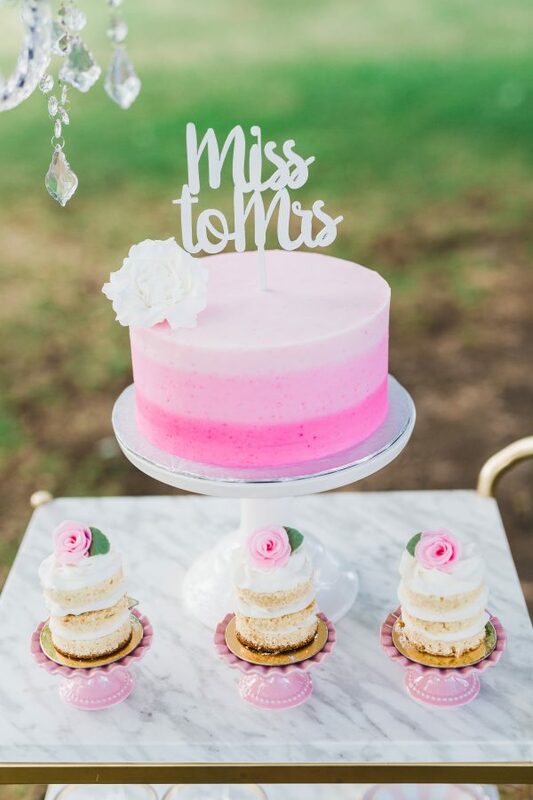 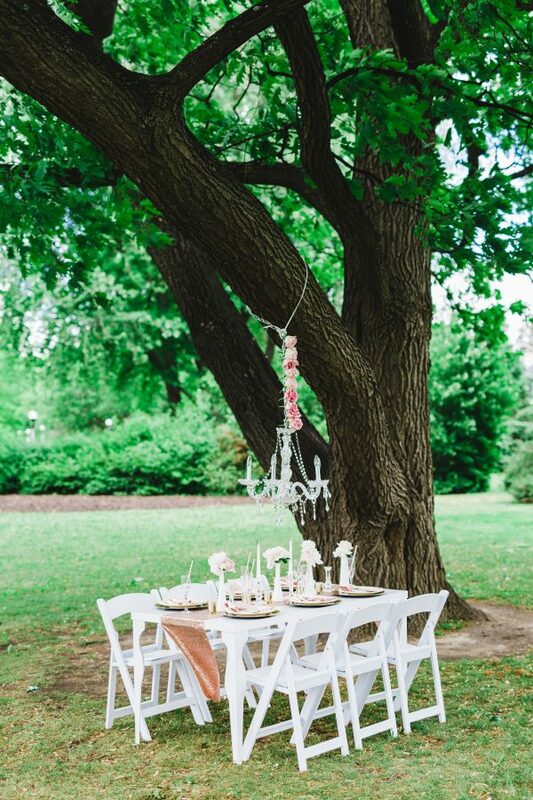 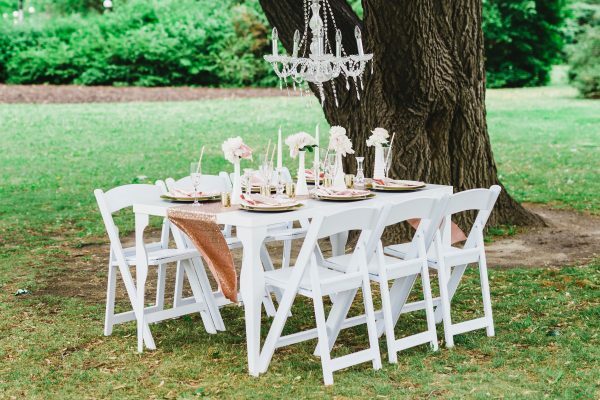 So much goodness and inspiration to take from this bridal shower.